In a medium pan, saute the garlic until fragrant. 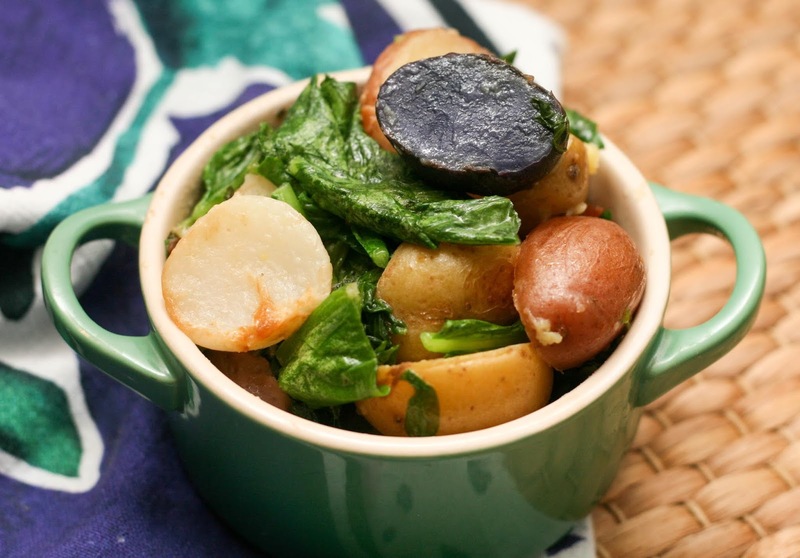 Add the potatoes and turnips and continue to saute until fork-tender. Stir in the greens until wilted. Remove from heat, toss with vinegar, salt and pepper. Serve immediately. I love Hakurei turnips! They are so sweet, practically bite-sized and their skin is so thin, you don't need to peel them. You can have them raw but I thought since I received a couple of bunches with the greens attached, I'd saute them up with their own greens for a simple side dish. I added some potatoes I had left from another recipe. I parboiled them because potatoes take a little longer to cook than these little tender turnips but if you are pressed on time, you could just saute them first, alone until softened and then add the turnips and the rest of the ingredients in the pan. Or parboil them the day before. In a large, heavy-bottomed pot, saute the carrots, celery, onion, and garlic until softened. Add the herbs, turkey, stock, peas, and spices and simmer. In a medium bowl, stir together flour, baking powder and salt with a large spoon, then slowly stream in water until the dough forms into a ball. Knead the dough until the mixture is well combined and elastic dough is formed. Set aside. Allow the soup to simmer until the vegetables are fully cooked. Bring to a rolling boil. 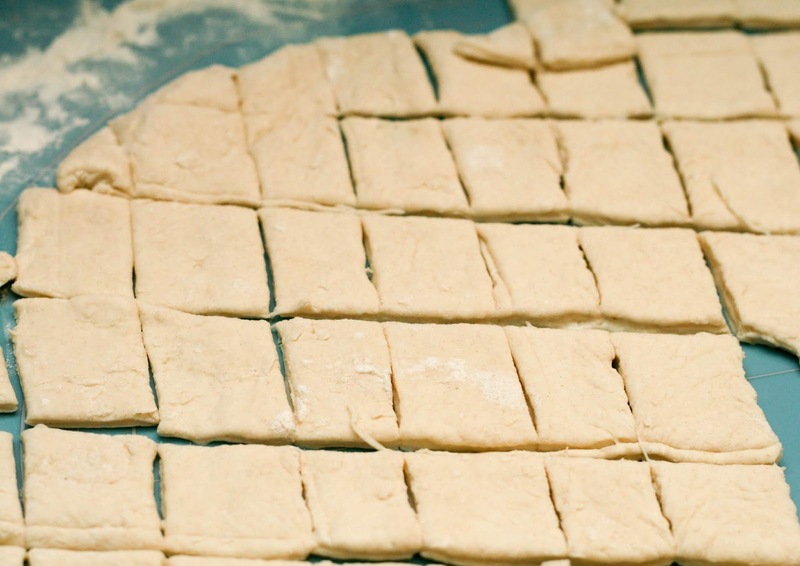 Roll out dough on a well-floured surface** to a large rectangle about 1/4 inch thick. 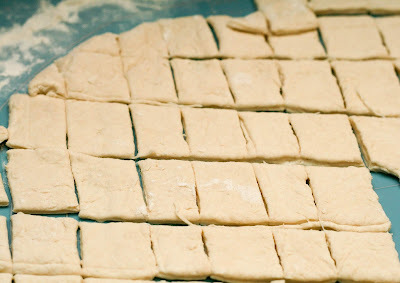 Cut the dough into 1/4-1/2 inch squares. Drop the dumplings in the soup a few at a time and cover. 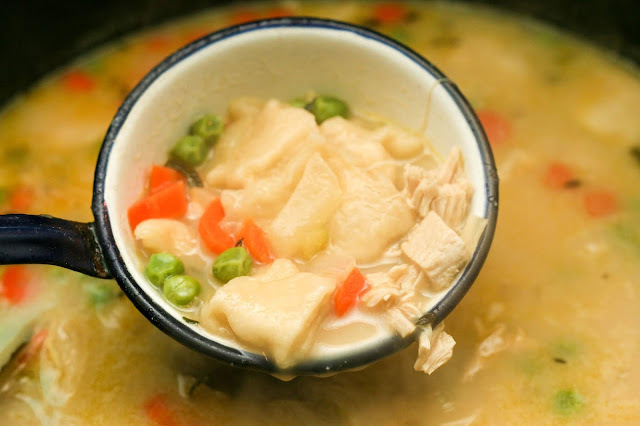 Cook until the dumplings float to the top then reduce heat and stir in milk. Serve. *I use these herb shears. **I used this pastry mat. I actually eat a fair amount of canned soup. I spend a lot of time cooking and baking but sometimes I don't get to eat it right away for whatever reason--I have to photograph it, it is cooking while it is lunchtime, it's for dinner, it's a dessert etc. My husband takes his lunch to work most days and has limited inexpensive options near his job so if we have just enough leftovers for one he normally takes them since I am home and can always make something. Anyway, canned soup is pretty cheap and easy so when I'm busy, it's easy to just heat up a doctored can vs making something that requires more effort. 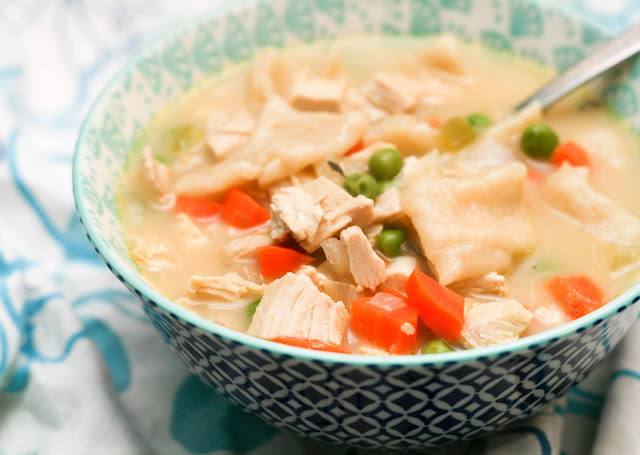 One soup I've tried is a creamy chicken and dumplings and it was pretty good! It stood out to me because the dumplings were quite small and flat-ish, not the giant puffy dumplings I'm used to in matzo ball soup or in other dumpling soups (I made a spicy Southwestern-inspired soup with big dumplings nearly 10 years ago). I sort of thought it was just because it's in a can and big dumplings would be silly and not work but in my research, it looks like they are possibly a regional variation or a way of making dumplings that has fallen out of popularity. I've seen a few recipes that refer to chicken soups like this as "old fashioned chicken soup", "old time chicken soup with mini dumplings", "Granny's chicken dumpling soup", etc with a lot of discussion about their elderly relatives making chicken soup that way. Anyone have any idea? They aren't just small, homemade noodles (so "Amish chicken noodle soup" isn't quite the same thing) they are definitely puffy dumplings in texture. I had the idea to make a homemade version of this soup in the back of my mind for a while now. I honestly don't love chicken so I put it off. This time of year you can get turkey breasts really cheaply so I roasted one for dinner the other night and had a ton leftover. It seemed perfect for this soup because one of the more time-consuming things about making chicken or turkey soup is poaching the chicken or turkey parts to then cool and shred and since this recipe requires one to make roughly 100 dumplings, it is great to use already roasted meat that just needs to be heated through. I actually only had about 20 minutes of hands-on time for this and it only cooked for about 30 minutes so it really was basically a 30-40-minute meal since I was making the dumplings while the soup simmered. Not bad for a weeknight! Preheat oven to 375. Lightly oil or spray with cooking spray a 9x13 inch baking pan. Set aside. Sprinkle both sides of the chicken with ranch mix, flour, and pepper. Flour the top (skin-side) of the chicken. Place the chicken skin-side down in the pan. 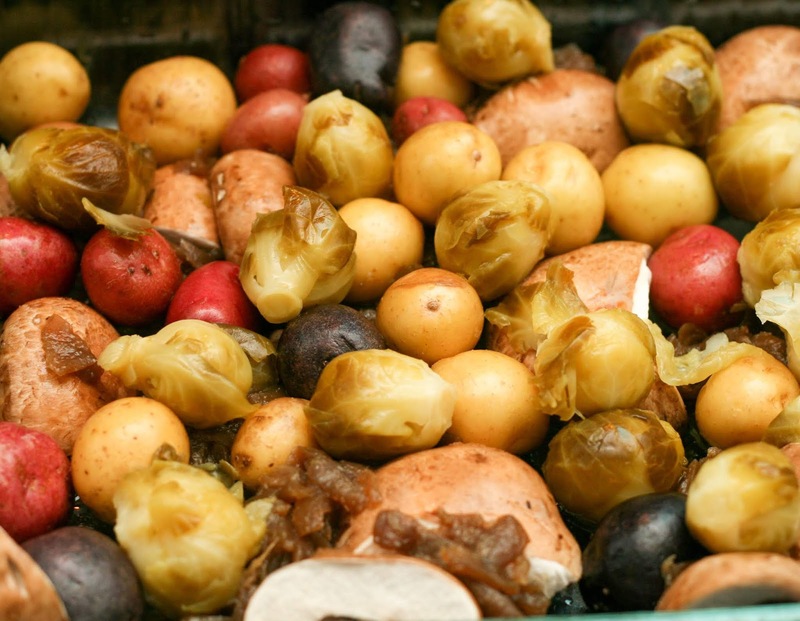 Meanwhile, arrange the potatoes, mushrooms, dilled Brussels sprouts and onions in single layer in the baking pan. Top with the chicken, skin-side up. Bake for 30-40 minutes or until the chicken is fully cooked and the potatoes are tender. Serve immediately. *In a time pinch? Just use thinly sliced raw onion slices under the chicken. 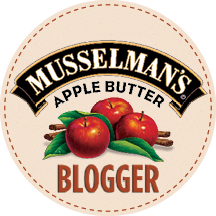 When Paisley Farm approached me about participating in a blogger recipe contest I happily agreed. I'm always up for a challenge and they make a whole line of interesting pickled items from three bean salads to beets to Brussels sprouts. Since pickled Brussels sprouts are something I've made myself in the past, I've received a few emails over the years asking about what do with them beyond a cheese plate, cocktail garnish or snack. This seemed like the perfect time for find out! 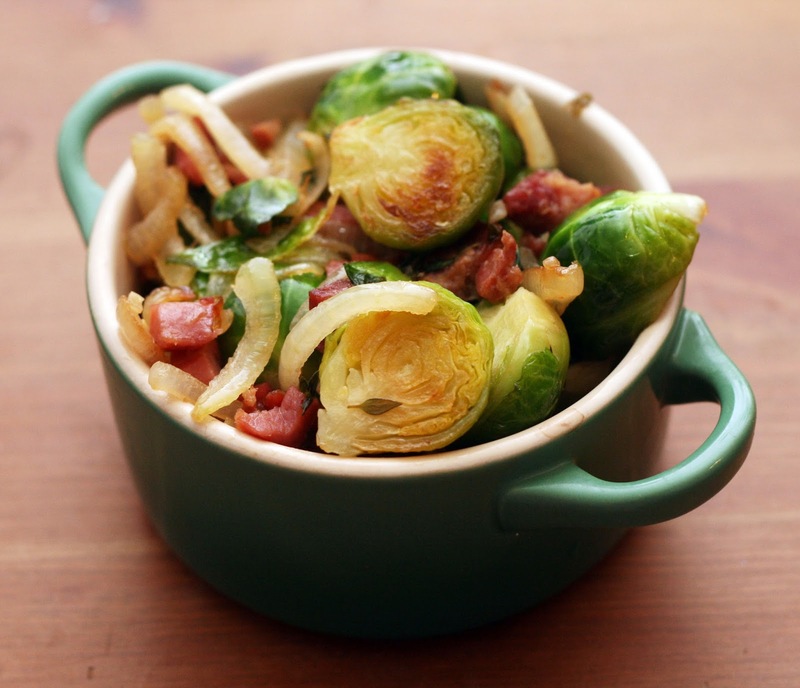 Their pickled Dilled Brussels Sprouts was a wonderful choice for this recipe! I developed this method of cooking chicken thighs a couple of years ago and find it works best when you get a good crispy skin on the chicken before baking and have some juicy ingredients underneath the chicken while it bakes to almost "steam" the chicken from below. 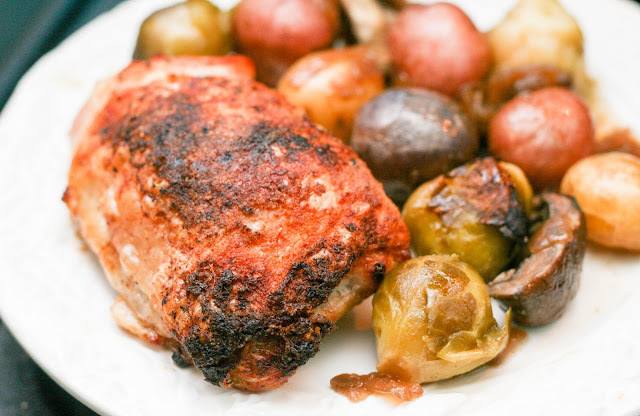 It really makes for a juicy, flavorful chicken! In this case the pickle-y dill brine infuses the chicken with flavor. Since the Brussel sprouts are whole, they hold up well to baking and serve as your vegetable in this one pan dish. Peel and slice the onions in ¼-inch slices. Separate them into rings. Thinly slice the butter. Place the onions into a 4-quart slow cooker. Scatter the butter slices over the top of the onions and drizzle with balsamic vinegar. At this point, the slow cooker may look full but the onions will quickly reduce. Cover and cook on high for 10 hours. If after 10 hours the onions are wet, cook uncovered for an additional 30 minutes or until the liquid evaporates. Pro tip: Store the onions in an airtight container. They will keep up to 2 weeks refrigerated or up to 6 months frozen. If frozen, defrost overnight in the refrigerator before using. 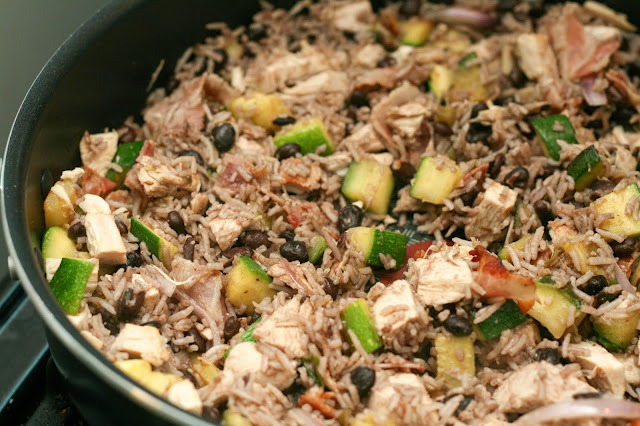 This is actually a recipe from my first cookbook, the Everything Healthy Slow Cooker! I haven't posted it here before and I used this method recently to make a recipe I hope to post soon so I thought I'd take a minute and share it again. 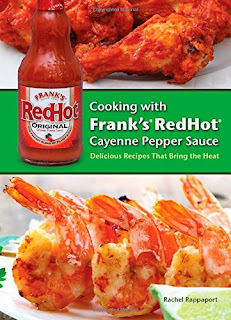 It really is the easiest (and if you hate having to watch things on the stove like I do) and best method in my opinion. Let the slow cooker do the work! This time I used a mix of yellow onions, huge white onions and red onions because I didn't have enough of any one variety to fill up the crock. Honestly, they all caramelize well so it doesn't matter. 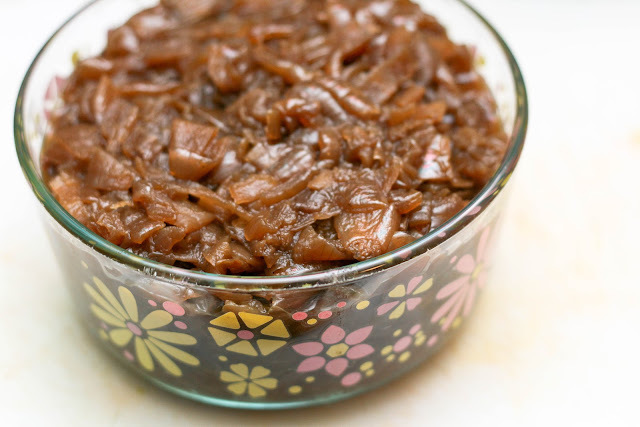 I use them in any recipe that calls for caramelized onions as a topping or an ingredient. 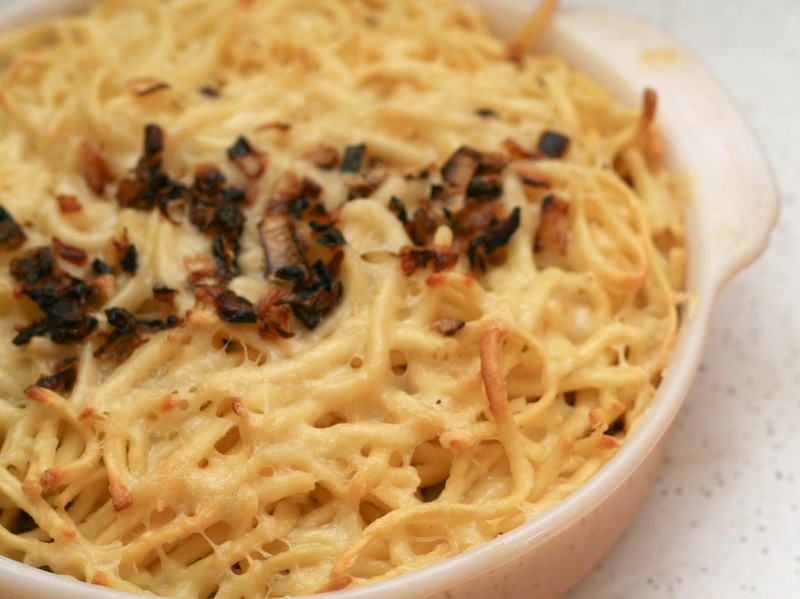 It is a great jump start to a ton of recipes since you are starting with caramelized onions vs raw and then cooking and stirring for an hour or more. I love them in stews, on burgers, in soup, in casseroles, really anything! Just saute them in a bit of butter prior to serving to warm through. Preheat oven to 350. Lightly butter a 9" x 13" pan. Set aside. In a large bowl or bowl of a stand mixer, mix the sugars together. In a separate medium-sized bowl, whisk together the cocoa, espresso powder, and salt. Crack the eggs into the bowl. Set aside. Meanwhile, in a small, heavy-bottomed saucepan, melt the butter together with the infused rum or vanilla. Stream the butter mixture into the sugars and beat until smooth. While the mixer is running, add the cocoa mixture/eggs, beat until smooth and glossy. Beat in the flour until just mixed. Fold in the chips. Pour into the prepared pan and smooth using the back of a spoon or spatula until the batter is evenly divided. Bake 30 minutes or until a knife or tester stuck in the middle comes out with just a few crumbs (the batter should not look raw!!). Cool, in the pan, on a wire rack completely before slicing and serving. *Dutch process will leave you with a little bit darker and richer brownies but regular cocoa is fine too. I actually used a mix so I could finish off two open containers I had hanging around. This past weekend we were invited to a White Elephant swap at a friend's house and I didn't want to show up empty-handed so I made these brownies to bring. Brownies are a great take-along dessert because they are pretty quick to mix up, they don't bake as long as a cake, they can cool and be sliced in the pan and don't have to be iced. Plus it is just as easy to make a big pan (like 24 smallish brownies as it is to make a small pan. For these brownies, I used cocoa and chips instead of baking chocolate so they can be made easily with ingredients you most likely already have on hand. For this recipe, I mixed up my technique a bit and used melted butter than I then beat that (while still hot) into the sugar. It helps to melt and break down the sugar a bit which gives the brownie a glossy. slightly crackling top but is easier than melting the butter and sugar together on the stove top which gives basically the same results but needs your constant supervision so you don't scorch the pan or make candy. 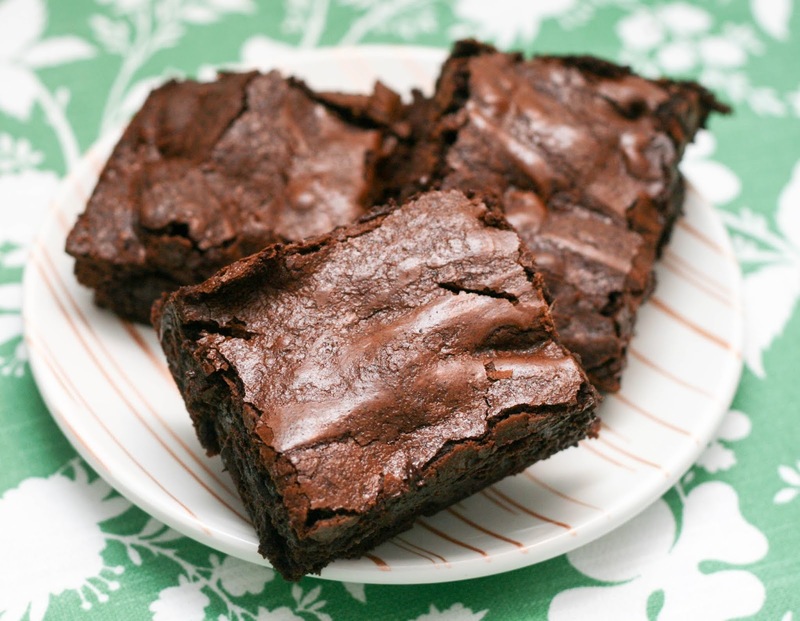 Simpler and easier is always better when it comes to brownies! I also used 60% dark chips and a bit of espresso powder (find this in an Italian market or near coffee/tea or near baking goods at a regular supermarket) to give it real depth and tons of rich chocolatey flavor. Feel free to use milk chocolate and eliminate the espresso powder if you aren't chocolate fiends for a lighter result. Preheat oven to 350. Line a baking sheet with parchment. Saute the onions and celery in a skillet until the onion is translucent and soft but not browned, about 10 minutes. Then, in a large bowl, mix together the remaining stuffing ingredients until well combined. 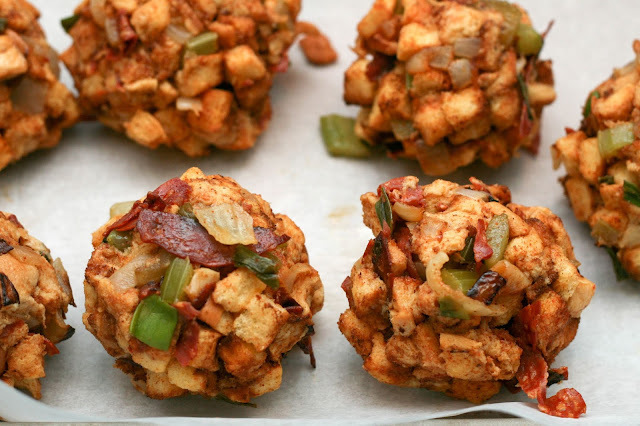 Form into stuffing balls. Arrange on the parchment paper. Bake 30 minutes. *I bought this in the bread aisle, near dinner rolls. Normally I just make my own but it was the same price as a loaf of bread and a lot quicker. 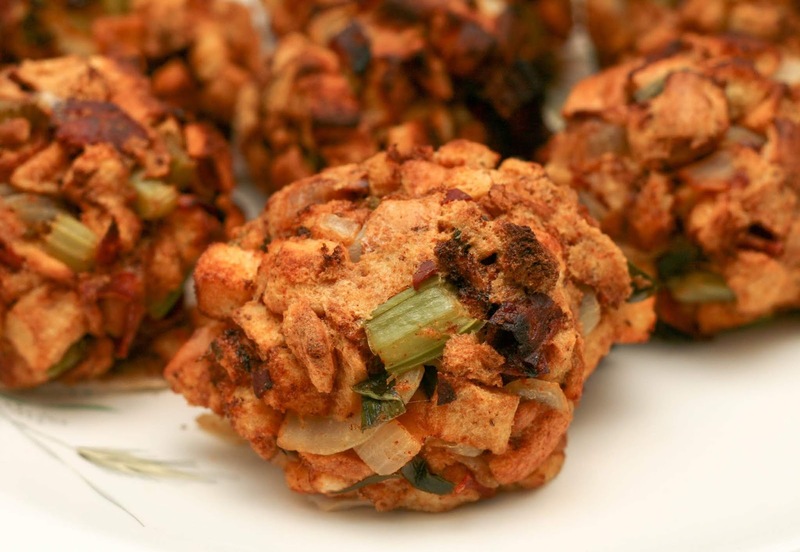 Growing up, we always made stuffing balls vs stuffing the turkey or making dressing in a pan. We would arrange the balls around the turkey in the roasting pan so they'd get some juices from the turkey on them without the risk of salmonella. I still do this but mix of the ingredients. I've made a lot of stuffing balls over the years! Recently I made a marinated boneless turkey breast but still wanted some stuffing so I made these on a baking sheet lined with parchment instead. ** Since they were not getting any juices or fat from roasting with a turkey, I used thin strips of Spanish chorizo to add and robust flavor, a bit of fat and a strong savory note. They ended up being a bit spicy and flavor-packed! Plus, I used pre-cubed bread so it only too about 10 minutes of prep then they cooked for 30 minutes totally hands off. Who says you can't make stuffing on a weeknight? The stuffing balls are soft on the inside and lightly crunchy on the outside which I love! 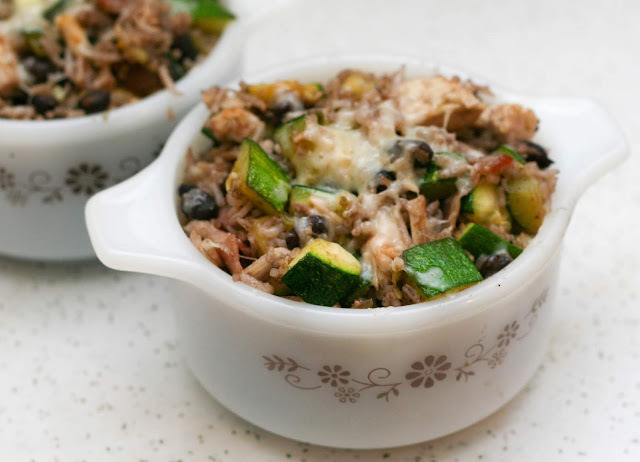 It is like the best parts of stuffing or dressing but in a personal-sized package. Don't be tempted to use hard, crouton-like bread cubes for this, the bread needs to be on the softer side in order to hold their shape. **of course, you could still roast these with a turkey, just add them to the pan for the last half hour or so of baking. Spread the oatmeal in a single layer and bake for 8-10 minutes or until lightly browned. Cool. Line 2 cookie sheets with parchment paper or silipats. In a large bowl, cream together the butter, vanilla, and sugar. Add the egg, beat until fluffy. Add the flour, baking powder, salt, and oatmeal. Mix until well combined. Fold in both chips. Place tablespoon sized blobs of dough on the lined cookie sheet about 1/2 inch apart and bake for 12-14 minutes or until they look just "set" and the bottoms are just golden. Don't overbake! The center may still be slightly soft. Carefully remove the cookies still on the parchment or silipats to a wire rack to cool completely. I've decided that butterscotch should be the next big flavor. I don't see it a lot (except at this one Indian bakery I go to that makes a great butterscotch cake). Maybe it is the name? It sounds more like the ingredients of a hot toddy than a candy safe for children. Who knows? I like it, it is homey yet rich tasting. For these cookies, I really wanted a warm flavor so I toasted the oats so they were richer and nutty tasting and used all brown sugar for a caramel flavor. They turned out so good! Comforting, yet slightly chewy and substantial thanks to the oatmeal. 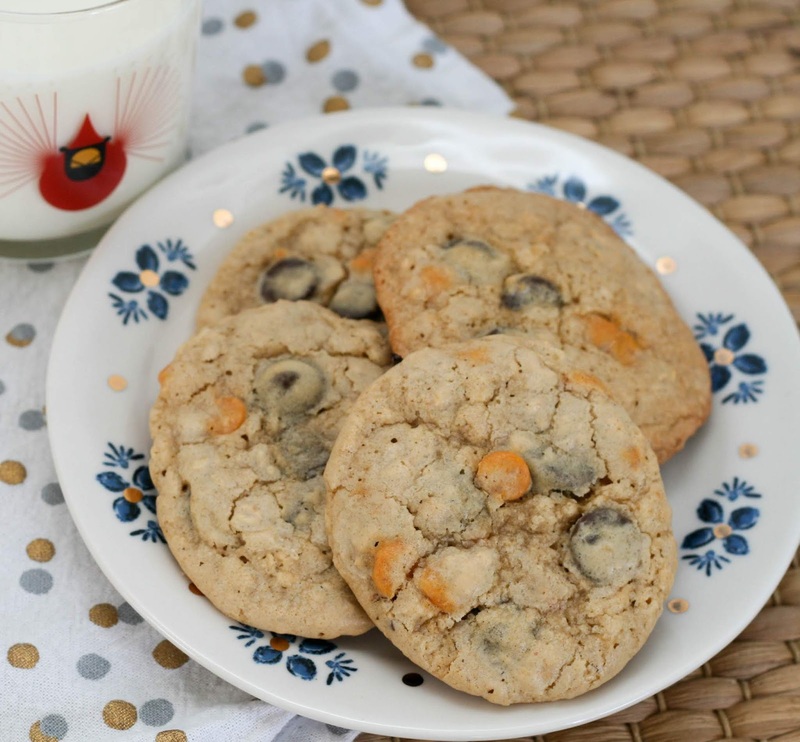 A great cookie for a chilly day. Prepare and heat your waffle iron according to manufacturer's instructions. In a large bowl or bowl of a stand mixer, beat egg, brandy or vanilla and milk until fluffy. Mix in the oil. Add dry ingredients and beat until smooth. Stir in fruitcake fruit. Pour the manufacturer's recommended amount of batter onto center of the hot waffle iron. Close lid of waffle iron. Bake about 5 minutes or until steaming stops or the iron beeps. Carefully remove waffle. Serve immediately or keep warm in a 200° oven. Repeat with remaining batter. Sprinkle with confectioner's sugar and serve. Garnish with additional candied fruit if desired. Fruitcake has become such a joke in at least the United States, I'm hardpressed to say if I've ever encountered one in the wild or met anyone who admitted to liking it. It does have a reputation for being dense and old fashioned which may or may not be deserved. It's a shame though because the flavors of fruitcake are winners! Who doesn't like sweetened fruit and the warmness of brandy or vanilla? I decided to take those flavors and modernize them a bit. 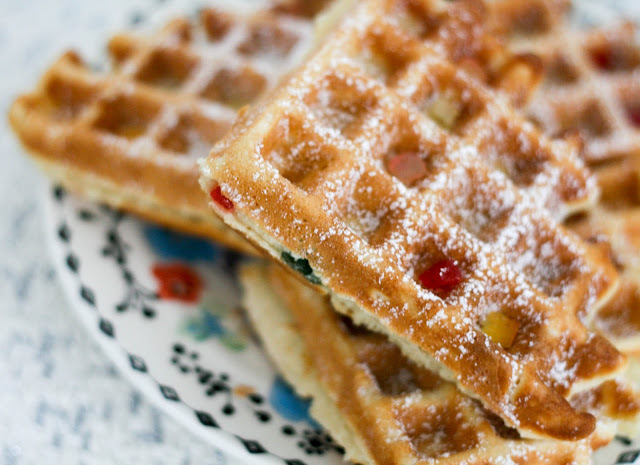 The result was these fluffy waffles. The spirit of fruitcake is still there but they are also light and fresh tasting. 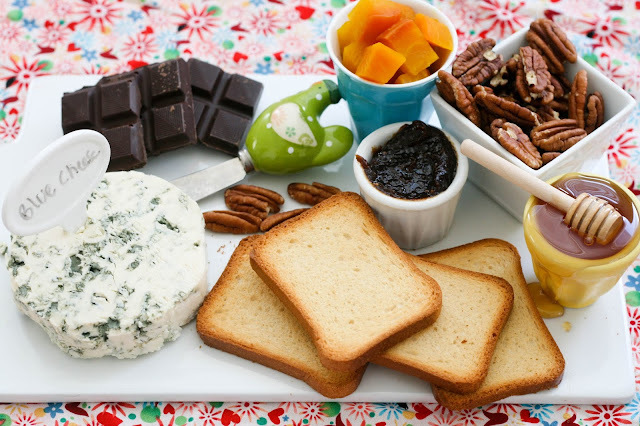 The perfect breakfast to put you into the holiday spirit. Preheat the oven to 350. Line 387 cookie sheets with silicone baking mats or parchment. In a medium-sized bowl, whisk together the dry ingredients. In a large bowl, cream the butter and sugars until light and fluffy. Beat in the extract. Taste and add additional extract to taste as needed. Add the eggs and food coloring and combine thoroughly. Gradually add the dry ingredients to the butter mixture and mix until a very thick dough forms. Add additional food dye if needed. Fold in the chips. Form cookies by dropping 1 heaping teaspoon of dough two inches apart. Flatten slightly then bake until light brown, about 14 minutes. Slide them out on the baking mat on to a cooling rack and allow them to cool 1-2 minutes on the baking mat/parchment on the wire rack before removing them to cool directly on the wire rack. * I bet you could just finely chop some Andes mints and they'd work fine but I haven't tried this myself. Let me know if you do and how it turns out! I saw a recipe for mint chocolate chip cookies on the Betty Crocker website that looked like fun but they called for a sugar cookie mix. Cookies are so easy and use such basic ingredients, I thought I'd make it myself from scratch. Dying the cookies a minty green is of course totally unnecessary but it's the holidays and it calls to mind a big scoop of chocolate mint ice cream so why not? It also makes them stand out on a cookie tray so they don't get mistaken for a plain chocolate chip cookie. 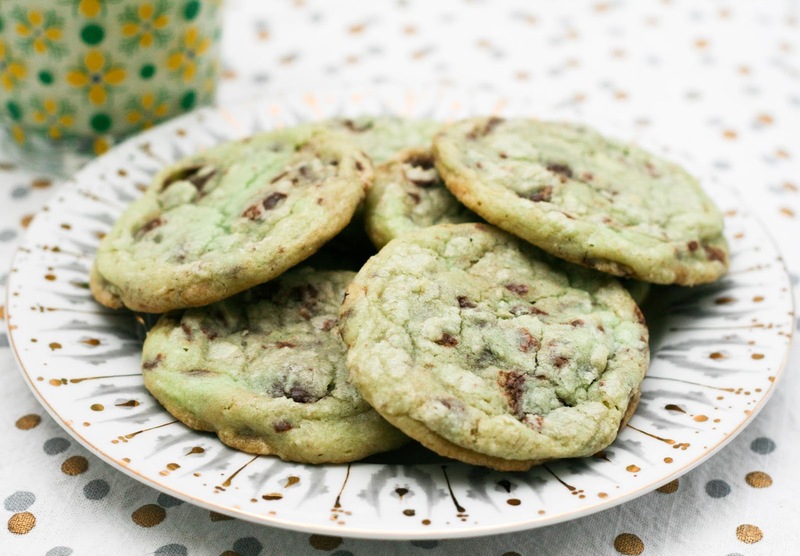 As these cookies have both peppermint extract and creme de menthe bits, these are definitely cookies for the mint lover. The dark chocolate chips temper it a bit and give the cookies a bigger depth of flavor. 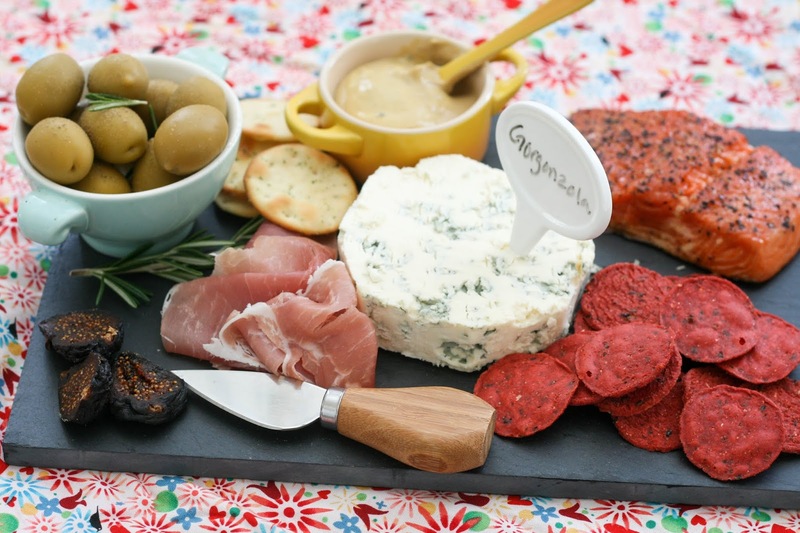 You can't beat a cheese board for holiday entertaining! Litehouse approached me to create a cheese board using their center cut cheese, which is cut from the center of a cheese wheel that has been aged 100 days, and I jumped at the chance. 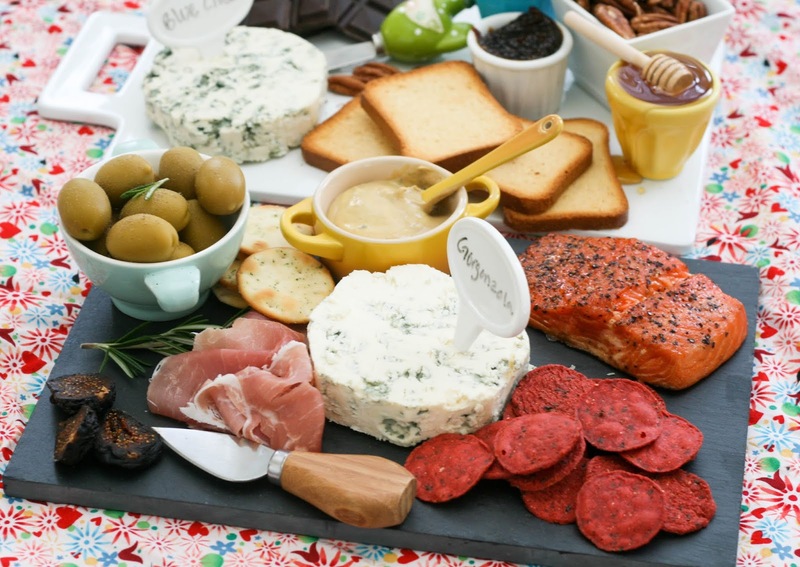 I love having snacks for dinner and assembling cheese boards! It's so fun and satisfying and requires little to no cooking. The cheese is already in a perfect circle and the packaging makes it super easy to turn it over on to a platter so all you have to do is arrange everything else around it. When I was pulling together items for the board, I realized I couldn't decide if I wanted to go sweet or savory. 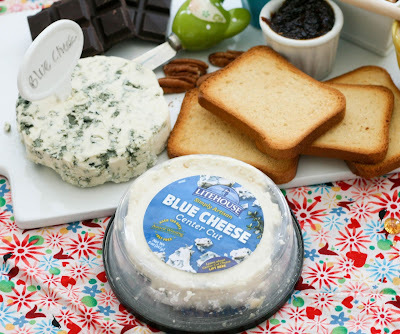 I think the rich creaminess and deep flavor of blue cheese pairs so wonderfully with both sweet/fruity and savory/smoky flavors. Rather than decide I made two small boards that can be served together or separately and that would appeal to any blue cheese lover. 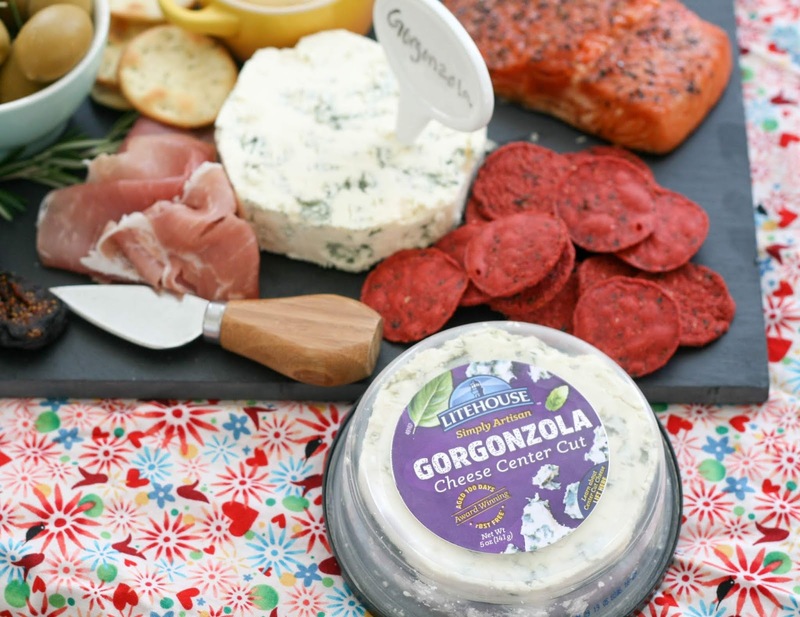 For the milder blue cheese, I paired it with a variety of sweeter accompaniments and for the more robust gorgonzola, I went with bold flavors like smoked meat and fish and mustard. I tied the two boards together by using figs and beets in both in different formats. Of course, you can serve this on one big board but I liked splitting it up to make pairings easier. Serve both at room temperature. 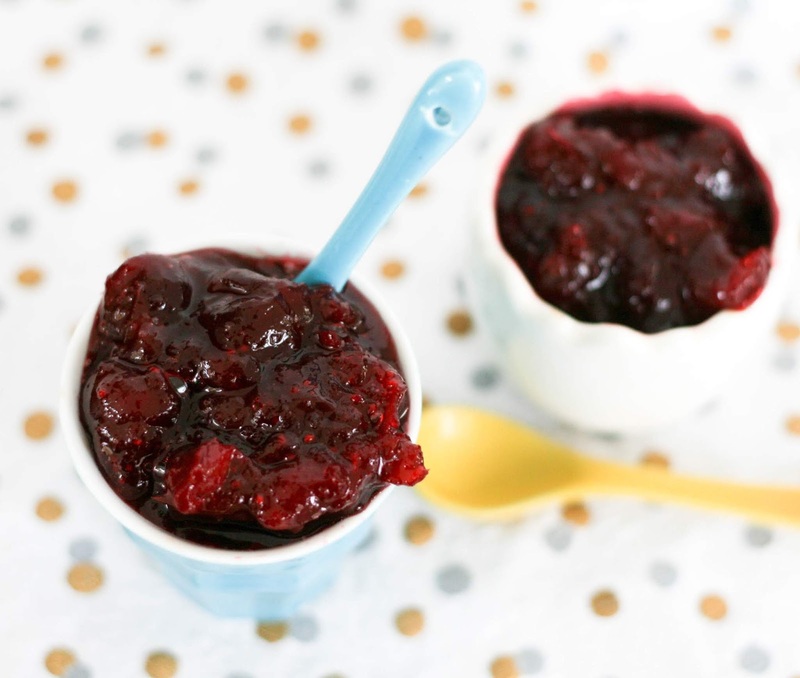 Place the cranberries, water, and sugar in a small, heavy-bottomed saucepan. Bring to a boil then reduce the heat and simmer until the juices from the cranberries are fully released and the mixture thickens, about 5-10 minutes, stirring occasionally. Pour the mixture through a wire mesh strainer, into a heat-safe jar, measuring cup or bowl. Discard the syrup or save to make drinks. Remove the cranberries to a bowl to cool completely. Use immediately or refrigerate up to one week in an airtight container. Pro Tip: Add ginger (about 1 1/2 inch knob) for ginger infused cranberries and/or sub out the water for citrus juice for a flavor boost. 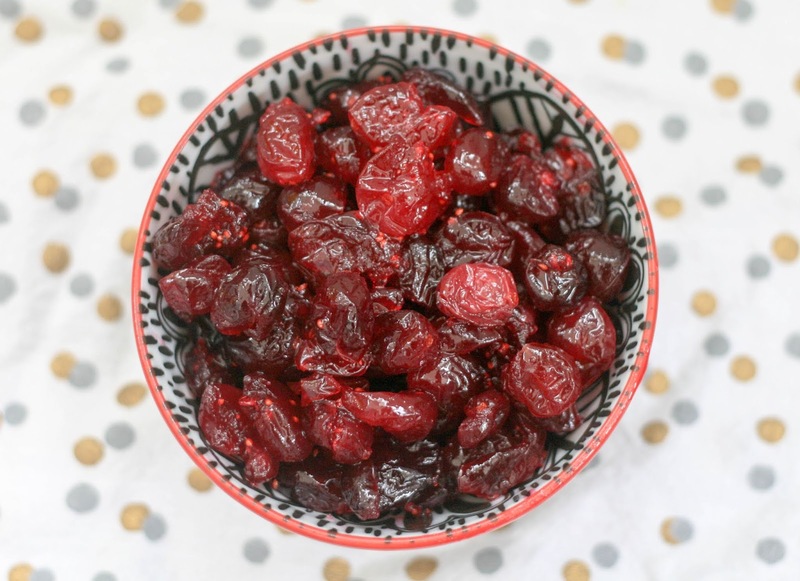 I made cranberry-ginger lime rickeys over the summer and loved how the cranberries that I used to make the syrup came out-sweet and plump but still with a great cranberry flavor. Why don't we candy cranberries more often? They are nearly identical in texture to the soft-candied cherries or citron, lemon or lime that are used in making many holiday baked goods like fruitcake. Preheat the oven to 350. Lightly oil an 8x8 baking dish. Set aside. In a medium skillet, saute the onion and garlic until the onion is soft and translucent. Stir in the ham, and cook 1-2 minutes or until heated through and lightly browned. Set aside. In a large bowl, beat together the egg, milk, until well combined. Whisk in the cornmeal and cheese. Fold in the ham mixture and peas. Pour into the prepared baking dish. Whisk in the boiling/hot water/stock. Bake for 25 minutes, remove from the oven and whisk the mixture. Return to the oven and bake an additional 30-40 minutes or until the polenta is firm and golden brown and a knife inserted into the center of the dish comes out clean. Allow to cool 5 minutes prior to serving. *I used Bob's Red Mill polenta; I buy it in bulk on Amazon. I came across a reference to baked polenta recently and was intrigued. I don't find polenta difficult to make but I'm always a little scared of the molten bubbles it produces when I get distracted. I've had more than one run in with scalding polenta! So baking it seemed like an easy solution. Then I had the idea to make it into a more complete meal and came up with this. 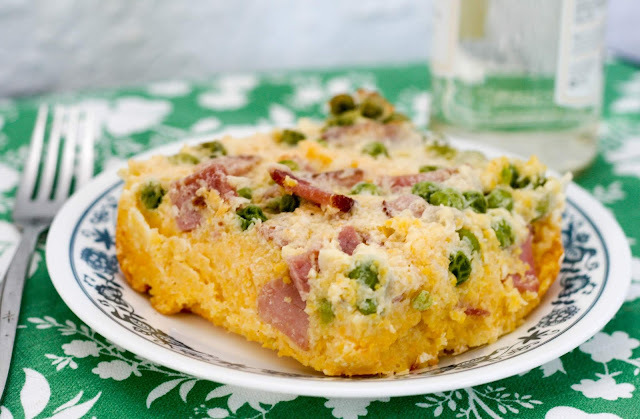 Ham and peas are a classic combination and I think they go wonderfully with polenta (or grits but I'm going for a subtle Italian vibe so it's polenta); the creaminess of the polenta is really set off by the smoky ham and fresh pea flavor. 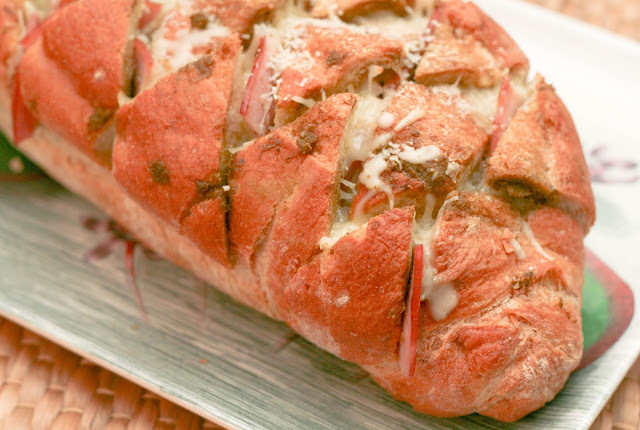 Serve with some crusty bread or a light salad and you have a meal! 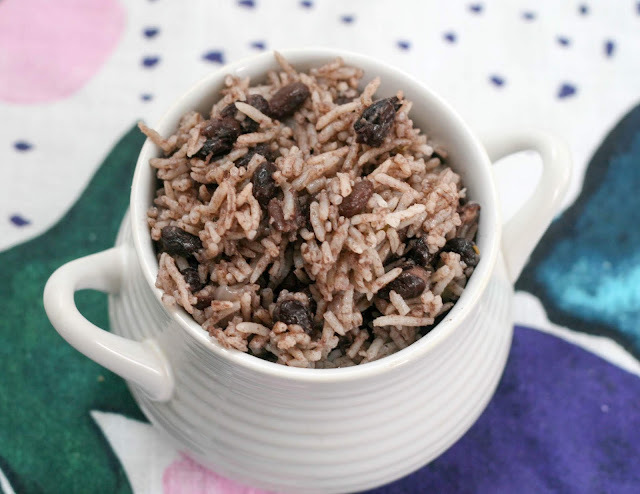 I served it for dinner but I bet it would make a good breakfast or brunch dish too! It reheats very nicely in the oven. Just take it out of the fridge for about an half hour to cut down on the reheating time and to avoid cracking the dish. 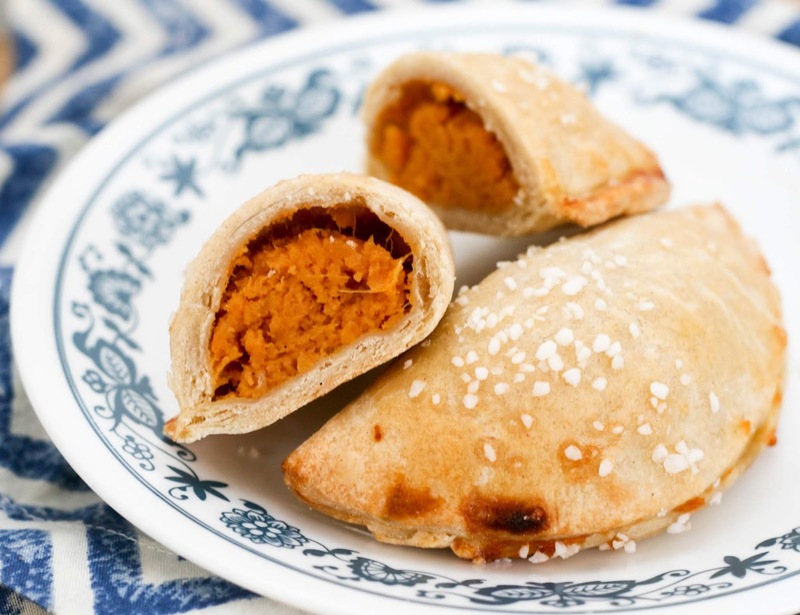 This recipe is an entry in the Frick's blogger contest. 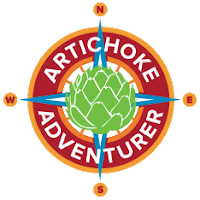 Check out their website, Facebook page and Instagram. Preheat oven to 350. 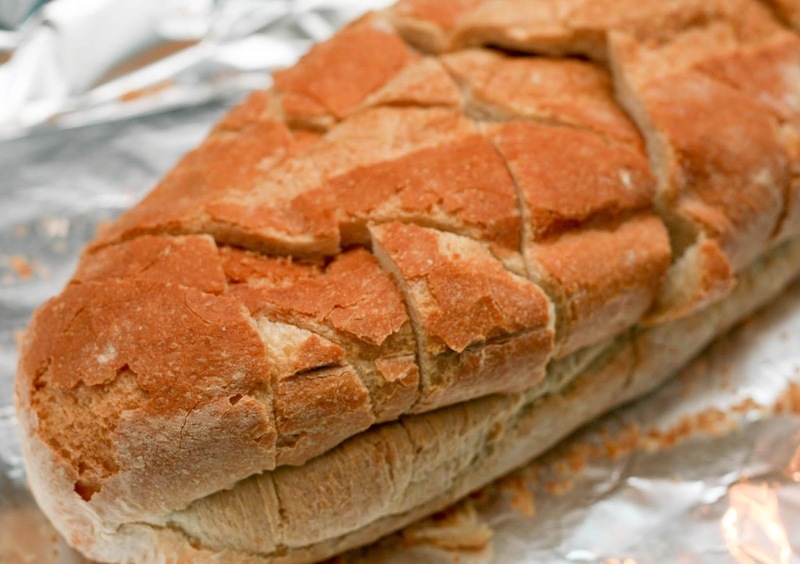 Cut the bread on the diagonal making 1/2 inch thick slices without slicing the bread all the way through. Repeat, going the opposite direction forming a cross hatch pattern. 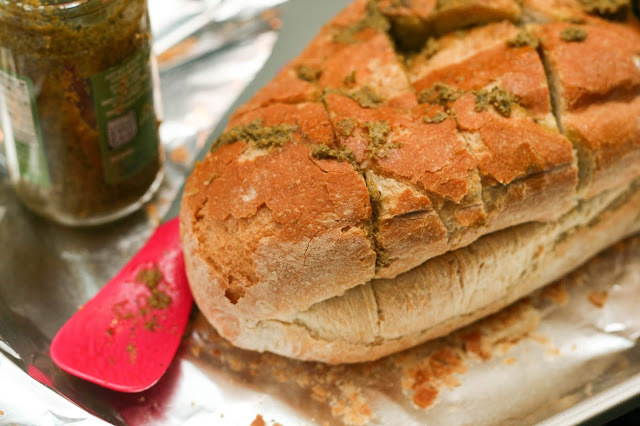 Using a spreader or spoon, spread pesto between each cut. This scoop and spreader works perfectly for this! Insert one wedge of ham in between each cut. Add mozzarella between each cut. Drizzle with olive oil. Wrap tightly in foil. Place on a baking rack and bake 15 minutes. 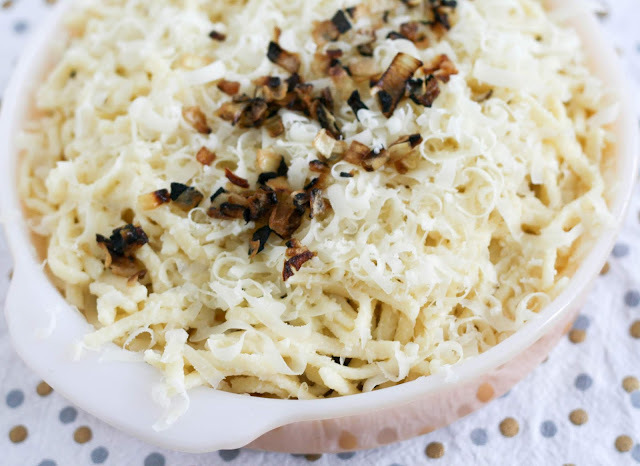 Remove from the oven, unwrap and sprinkle with Parmesan and return to the oven to brown, about five minutes. Allow to cool 5 minutes before plating and serving. 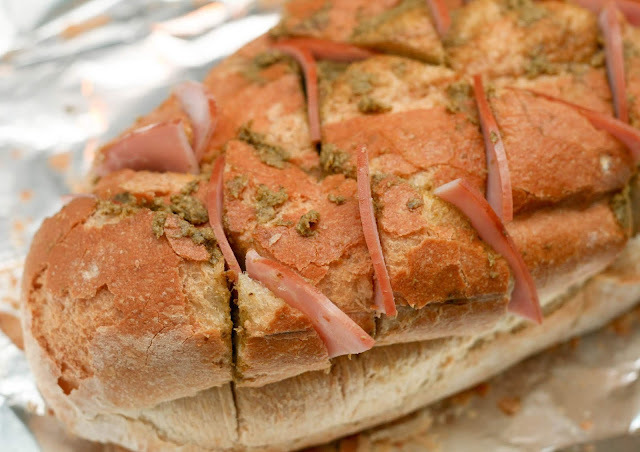 Note: Depending on the size of your loaf, you may end up with ham or mozzarella leftover. I love appetizers that look impressive and are fun to eat but are also easy to make, transport and serve. This stuffed bread hits all those points. I used smoky Frick's ham slices which worked perfectly, they are a good thickness so you can really get them in-between the cuts and have a lot of flavor. For ease's sake (and the fact that you use less than 1/4 cup), I used bottled pesto but feel free to use fresh if you'd like. Thanks to the mozzarella the mix holds together well when you tear off a chunk. It's important to use a good, crusty loaf of bread--I get mine at the local Italian market--so you can cut it 95% of the way through and still have it hold its shape. The results are worth it! 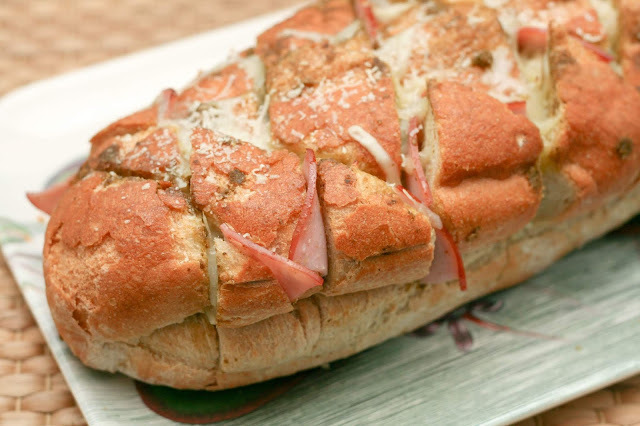 Great Italian flavors and smokiness from the hickory smoked ham. I really enjoyed this! I am not always someone who makes an appetizer but this one was so easy and so flavorful, I can see making this again and again.